Whatsapp will now label all forwarded messages to stop fake news! Whatsapp Officially Rolls Out Forwarded Message Label To Stop Fake News! We had reported in March that Whatsapp will label all forwarded messages. 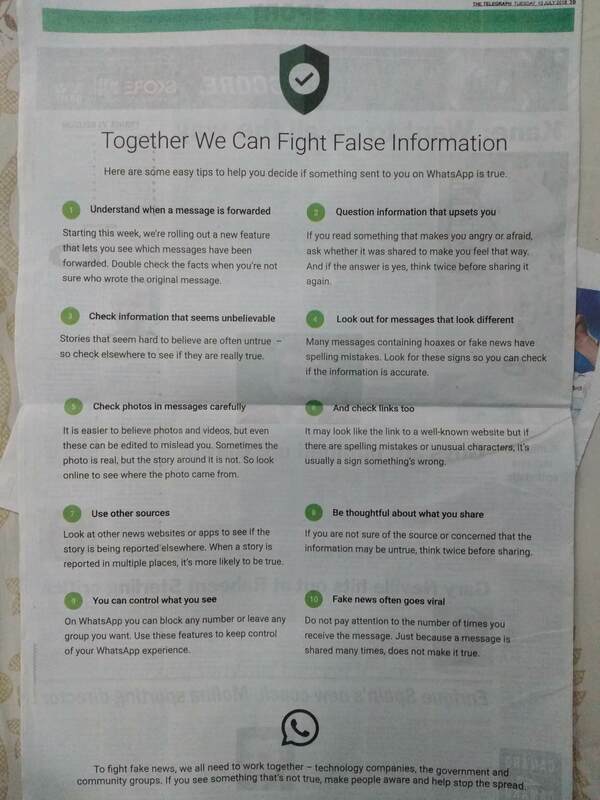 Whatsapp, world’s largest and most powerful messenger app has now proved that they are indeed serious about the spread of fake news via their platform. In the last 24 hours, two very important things have happened: Whatsapp has rolled out their forward message label for all users, and published full page advertisements across leading newspapers to create more awareness. Can these steps help to curb the spread of spam and fake news? 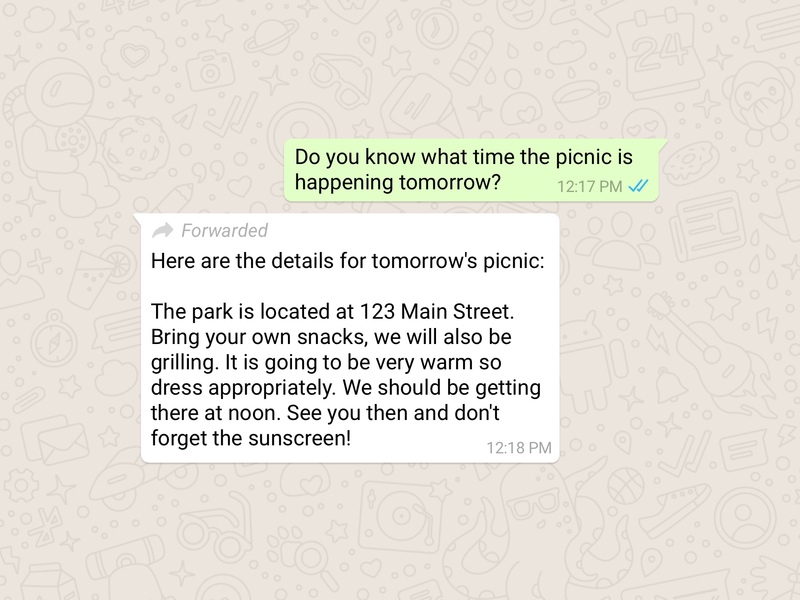 Via blogpost published yesterday, Whatsapp has informed that their new forwarded message label is now live for all users. Here is a preview of this label, as shared by Whatsapp. We had earlier reported in the month of March that Whatsapp is testing a new forwarded message label. Users can now determine whether the message was written by the sender, or is being forwarded from somewhere else. This will help them to determine the authenticity of the message, and in turn this will assist them to take the judgement call. Spam and forwarded messages will be now labeled with this tag, which means that their spread will be less likely. Whatsapp is also testing a new in-built spam link detection tool, and has already announced a reward of $50,000 for anyone who can figure out ways to stop the spread of fake news. Meanwhile, in order to tap and inform a wider audience, Whatsapp rolled our full-page newspaper advertisements across leading newspapers, informing the readers about ways to handle spam and fake news. There are overall 10 pointers, which basically informs the reader to use facts and common-sense before believing anything they read on Whatsapp. This newspaper advertisement is a rare case wherein a web-based application has used the print media to create awareness about an issue. Govt. has India has already pressurised Whatsapp to take some strict steps to stop lies and fake news being shared on their platform. Here are the Safety Tips for all users. 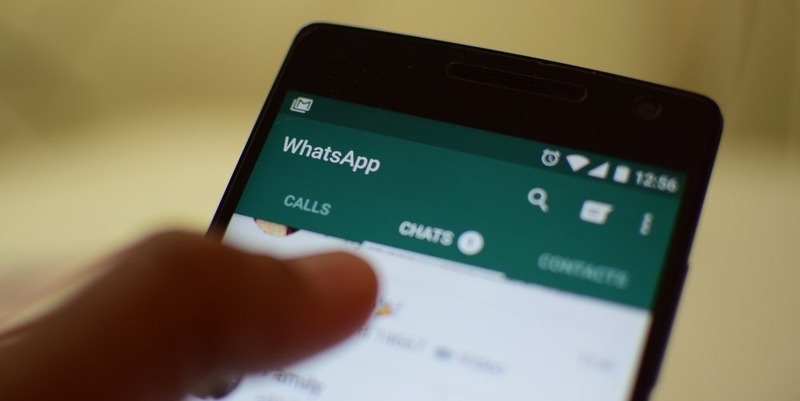 Whatsapp’s new mobile payment platform is also under test right now, and if fake news on Whatsapp continues to dominate headlines, then it can pose a serious issue in the future. "Whatsapp Officially Rolls Out Forwarded Message Label To Stop Fake News! ", 5 out of 5 based on 1 ratings.